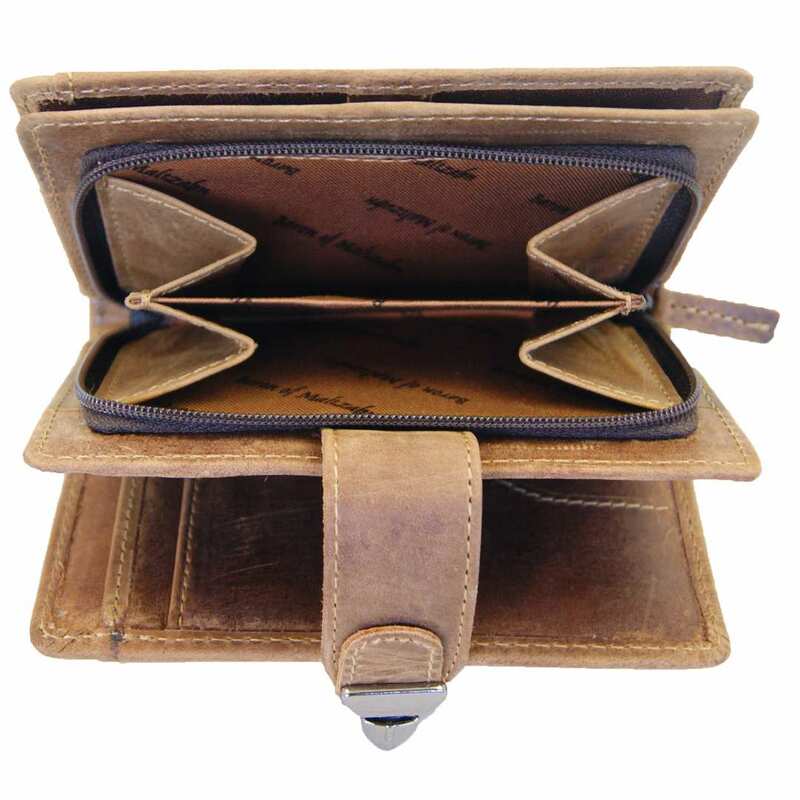 Product information "Trifold wallet BRANSON of brown leather"
In the elegant wallet BRANSON made of brown leather with a buckle there is space for everything – from change to the ID card. Keep all your vital belongings safe and discreet! 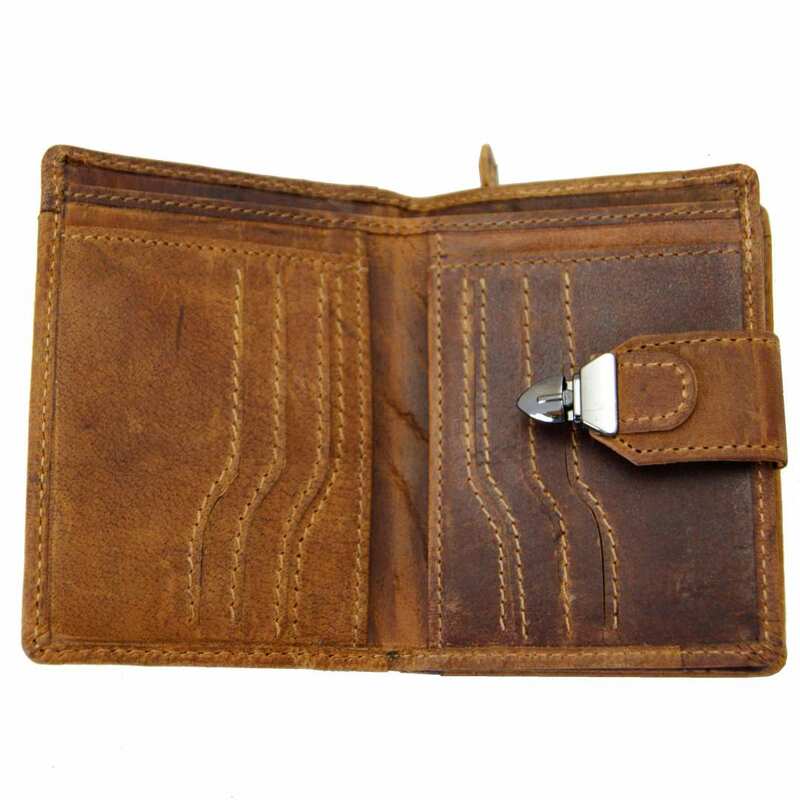 Thanks to the manageable dimensions, the lock wallet made of brown leather is exactly big enough for all important items like change, debit and credit cards, the driver’s license and the ID card – just everything a man needs on the go! At the same time, the format of the purse is so calculated, that you will be able to easily carry it in the back pockets of your favorite jeans. 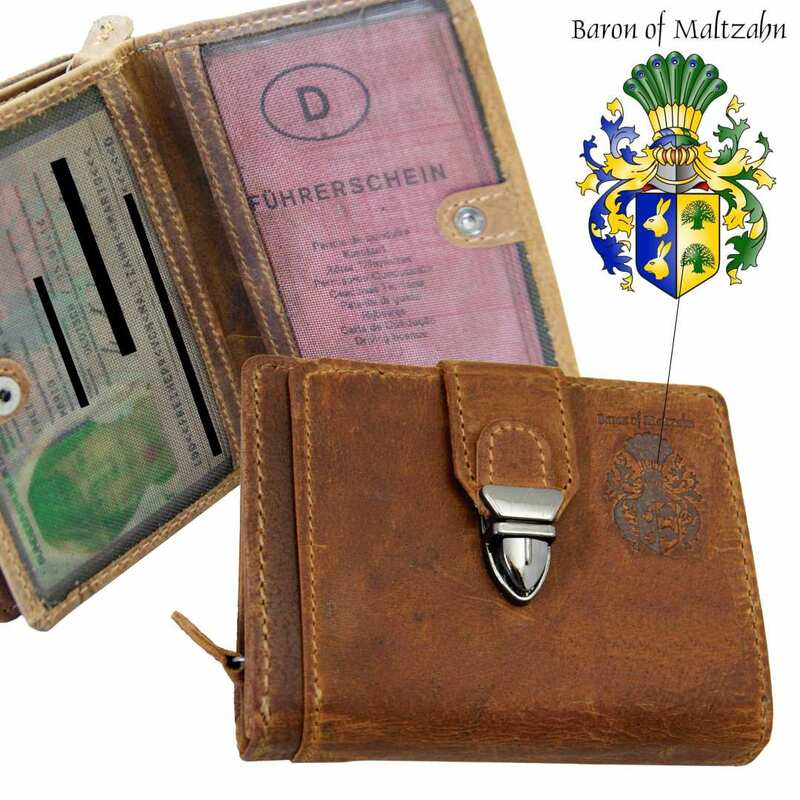 This wallet of the Collection BARON of MALTZAHN is made of valuable brown grassland leather. All compartments and pockets of this trifold wallet are secured by a silvered lock that avoids everything from falling out. The purse also has a separate and divided coin pocket with zipper, two large mesh pockets with a button, six card holders and four other sections with space for notepads, cards and similar objects. The first class inner lining is black and very elegant. 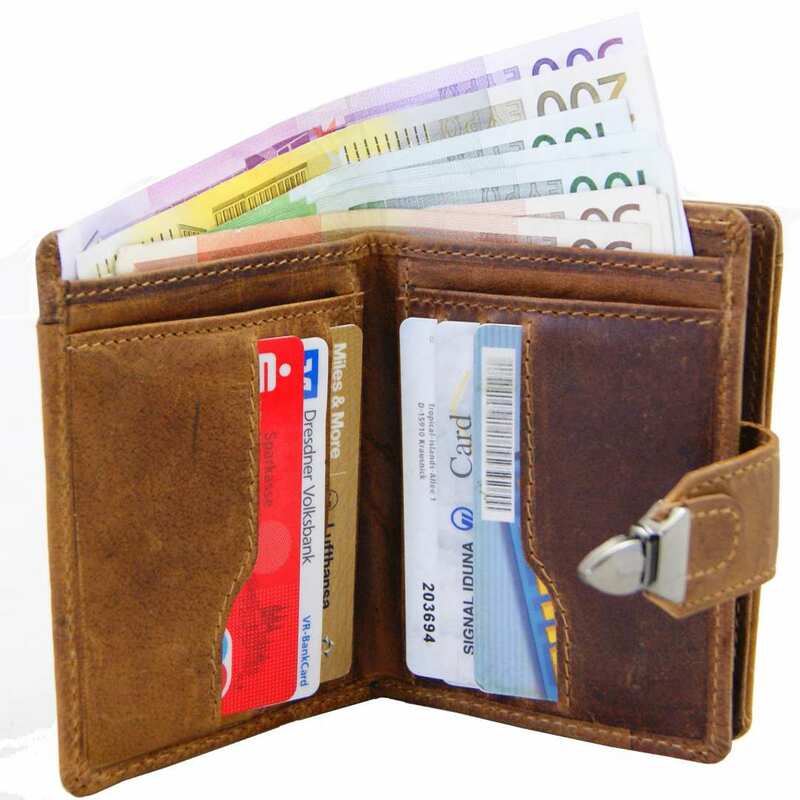 The total dimensions of the wallet are 4.7 x 3.5 x 1.2 in (12x9x3 cm). 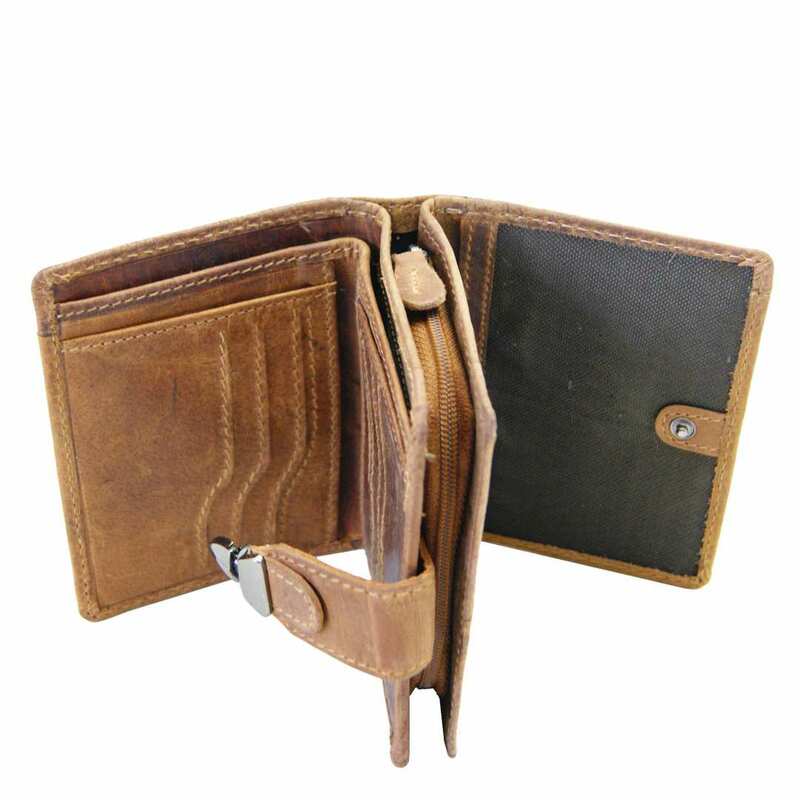 The leather trifold wallet with a lock is only produced in small series, therefore you should order it quickly and not lose this fantastic opportunity! A nice gift idea for a birthday or Christmas! 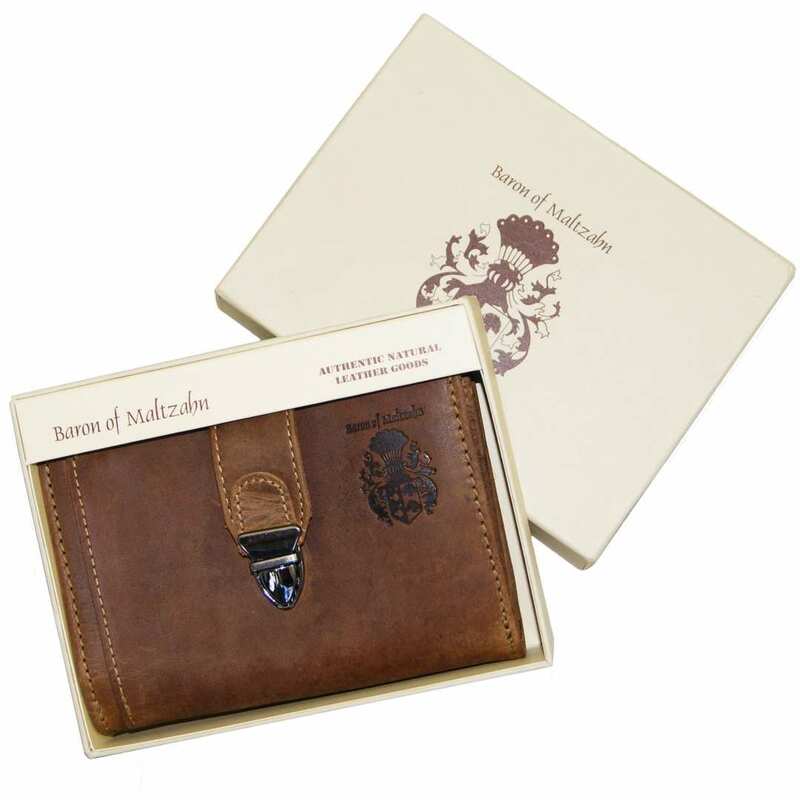 You also have the choice of purchasing this magnificent wallet with a gift box. This way, you will have the best present to give. Order now and make yourself – or someone else – happy! 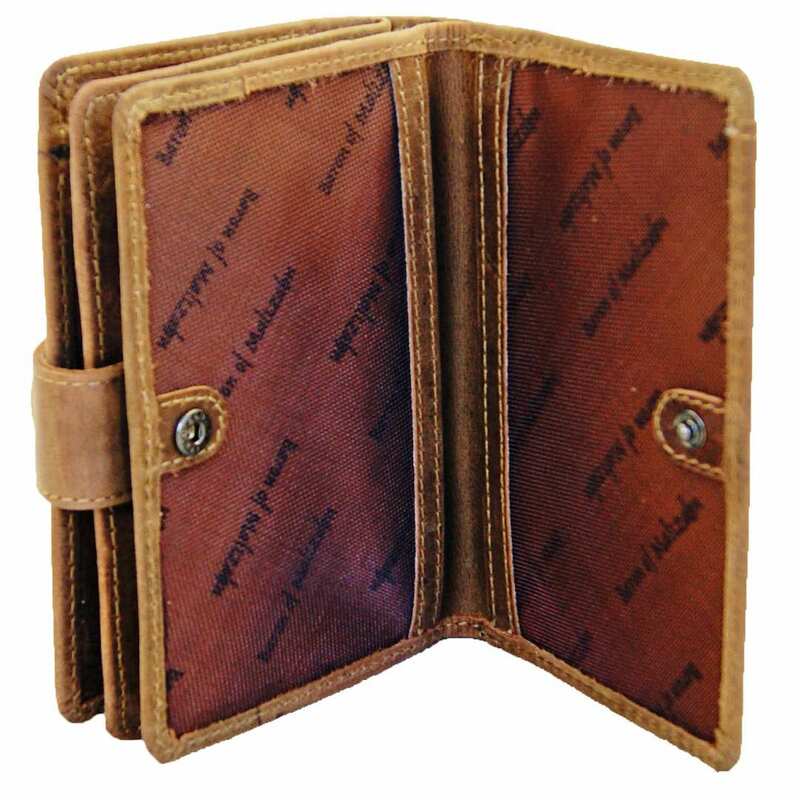 Reviews for "Trifold wallet BRANSON of brown leather"